Editor's Note: Due to a technnical glitch this episode was late in posting. Please forgive. 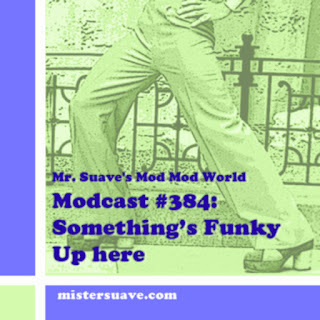 Welcome to Mr. Suave's Mod Mod World all girl special. I started putting this modcast together and realized that purely by accident I'd picked out mostly songs about girls. So I finished up the set keeping that with that unconcsious theme and now you're going to be treated to girls, girls, girls. Hopefully I won't get tagged as a perv for searching out songs about little girls, tricky girls, school girls, naked girls, and other girls. All from bands like The Creation, The Thanes, The Scooters and The Headboys. Get youself settled and turn up your speakers, it's time for the show.